Special counsel Robert Mueller is getting ready to interview Hope Hicks, the White House communications director and one of President Donald Trump's closest aides. Hicks was present during several moments leading up to Trump's decision to fire FBI director James Comey. Comey's firing makes up the basis of an obstruction-of-justice case Mueller is building against Trump, and experts say that if Mueller is ready to interview one of Trump's key advisers about it, the case is nearing its conclusion. A report from Politico this week, which found that special counsel Robert Mueller is gearing up to interview White House communications director Hope Hicks, indicates that a significant part of the Russia investigation is likely moving into its final stages. Mueller's probe includes multiple components. In addition to looking into whether members of the Trump campaign colluded with Moscow to tilt the 2016 election in his favor, the special counsel is also investigating Trump for obstruction of justice related to his decision to fire FBI director James Comey. Hicks was a key presence during a number of critical moments leading up to Comey's firing. Comey was spearheading the FBI's Russia investigation when he was dismissed as FBI director in May. At first, the White House said he was fired because of his handling of the bureau's investigation into former secretary of state Hillary Clinton's use of a private email server to conduct government business. But Trump later told NBC's Lester Holt that "this Russia thing" had been a factor in his decision. The biggest challenge a prosecutor faces in an obstruction-of-justice case is proving corrupt intent, which is almost always difficult to establish. But Trump's public statements bashing Comey and the investigation, as well as a draft letter he put together with adviser Stephen Miller in early May laying out his reasons for firing Comey, could change the ballgame. "The best way to prove someone's intent is through their own words and actions," former federal prosecutor Renato Mariotti told Business Insider in an earlier interview. "Here, you have a letter that was written by Miller, at the direction of the president, that contains what the president's thoughts were at that time." That Mueller is getting ready to interview Hicks, who has long been in Trump's innermost circle, signals that he's nearing the end stages of the obstruction of justice investigation, Mariotti said Saturday. "Anytime you can get someone who is the right-hand person or who’s been around the primary target of an investigation, under oath, answering detailed questions, means you’ve progressed very far along in the investigation," Goldberg told Politico. Though the president's defense attorneys, like White House lawyer Ty Cobb, have expressed confidence that the Russia probe will conclude by as soon as the end of the calendar year, sources close to the investigation told The Washington Post on Sunday that they expect the investigation to continue deep into 2018, and possibly beyond that. 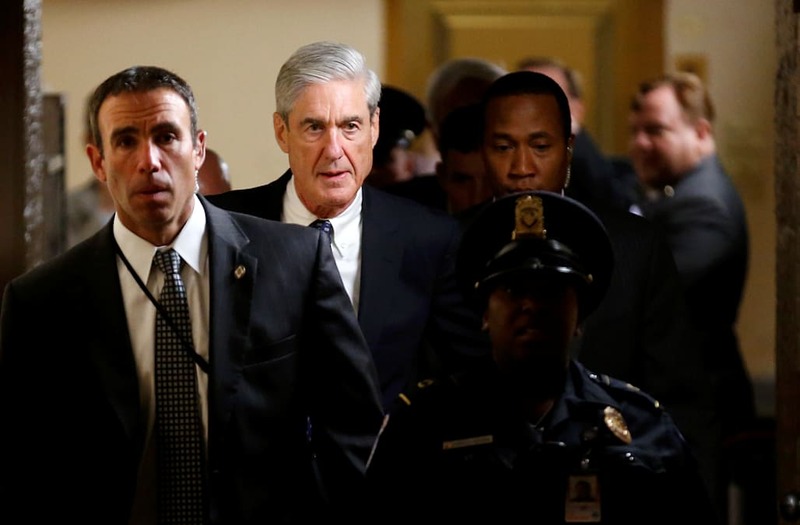 Mueller's team took over the FBI's investigation in May, when he was appointed special counsel following Comey's firing. Prosecutors have so far extracted a guilty plea from former Trump campaign foreign-policy adviser George Papadopoulos, who was charged with one count of lying to federal agents about his contacts with individuals who claimed to be linked to the Russian government. In October, Mueller indicted former Trump campaign chairman Paul Manafort and his associate Rick Gates on charges of money laundering and their work as foreign agents. Hicks' testimony could be useful for other parts of the investigation as well. In addition to being privy to Trump's thoughts leading up to his decision to fire Comey, Hicks was also with the president on Air Force One when he "dictated" an initially misleading statement that his son, Donald Trump Jr., issued in response to reports that he met with a Kremlin-connected lawyer at Trump Tower in June 2016. But for now, he added, "it looks like the obstruction of justice aspect of the case is probably coming to a close."